Another year, another Roskilde Festival (my 8th one to be precise). Here are my shots from the first day of the event, along with a few general observations. #Rf17 seems to be a lot more formal but that doesn’t neccessarily mean it’s better organised. It’s early on but I have yet to figure this festival out (or I have grown old). Beer bowling – a national sport at Roskilde, comme tojours. Delights – of the (charming) culinary sort – lots of em! The skatepark is less flamboyant this year. Last year’s festival saw Red Bull host a range of engaging activities in my favourite corner of Roskilde West. This year, not much is happening there, though Game Denmark have taken ownership of most of the sporting activities in the rest of the area. You really do only live once at Roskilde. Cheesy? – it’s Y, give me a break! Beauty sleep – get lots of it at RF17! Original article published for The Danish Architecture Centre, available here. The history of global architecture is replete with examples of monumental constructions. As a civilisation, we often tend to be endeared by that which is mammoth, gargantuan and high-rise; we are a society driven by affection towards that which manifests itself on a grand scale. This is true of the Pyramids of Giza as it is for today’s vast, unending skyscraper skylines of Dubai, New York, Hong Kong and Tokyo. However, whilst the architectural feats required to raise grand structures such as skyscrapers several hundred feet above ground warrant adulation, there are many who argue that there is an essential element that is often omitted from narratives of this sort. In hisTED talk held at Copenhagen’s Black Diamond Library in November last year, Danish architect Jan Gehl discussed the need for pedestrian-driven cities that put people at the centre of the town planning narrative. The TED talk reflects some of the construction philosophies that have been at the heart of Jan Gehl’s work over the last forty years. According to Gehl, one of the most important elements in the construction of habitats for humanity is what he calls, the human scale – the construction of structures and habitats with humans at the centre of the narrative. Now, whilst this may seem like a given, Gehl argues that modernist (post 1960) architecture and town planning has in fact, eliminated the human scale from the equation, in its bid to build for the modern man. These buildings blocks were based on the movement of the feet in the case of the street and the eye in the case of the square. In other words, the old cities were built for and took their departure in, the body. However, with the expansion of the world and the compatibility between mass production and modernism, the human, scale and in essence the way in which people moved on streets and within squares was forgotten. For Gehl, what followed was a series of cities and construction projects that looked spectacular from the air but lacked essential functionality at the street level. Combined with the increasing role of the car in society, what followed was a prioritization of vehicle transport over people and pedestrians. Gehl had other plans for his city planning endeavours, however. It is needless to say that Gehl is most well known for his groundbreaking work on Copenhagen’s pedestrian street, Strøget. At 1.1 km in length, this is Europe’s second longest pedestrian streets after Bordeaux’s Rue Sainte-Catherine and a major tourist attraction. Strøget’s development was also a cornerstone for Copenhagen’s prioritization of bike and pedestrian traffic. However, whilst the street is revered today, this wasn’t always the case. Rioting motorists and death threats to the mayor of Copenhagen in 1962, Alfred Wassard, at the time the idea of a pedestrian-free street was conceived, threatened to derail the project entirely. Strøget founded the basis of Copenhagen’s pedestrian-friendly city planning policies, as we know them today. However, Gehl’s influence on humanistic planning also extends to the planning policies of other nations. For instance, in 2007, Gehl was influential in re-mapping New York’s streets in a more pedestrian-friendly manner. Through his advice to the department of transportation, numerous city planning policies in the area have been made in in the interest of pedestrian-friendly urban architecture. Similarly, Gehl’s work has also been influential in Australia and New Zealand, where he has prepared public life studies for the city centres of Melbourne, Perth, Adelaide, Sydney, Auckland, Wellington, Christchurch and Hobart. Today, the town planning policies of numerous cities the world over are increasingly concerned with placing pedestrians at the centre of the architectural narrative. This is nothing new in the history of construction, as pre 60´s architectural traditions dictate, so essentially, what is needed, according to Gehl, is a return to some of the architectural paradigms that defined the way we built cities in the past. This, he argues, creates intimacy and interaction; it creates a human scale that places people at the epicentre of the city and the life around it. A few months ago, I embarked on a special journey with momondo – a simple DNA test. As part of the travel search engine’s The DNA Journey campaign, thousands the world over have taken DNA tests to ascertain their heritage. And whilst it is important to point out that one’s DNA results are based on a database of people that the company that conducts the tests, Ancestry DNA, has built up, there is a high degree of certainty that the results show are accurate. Prior to taking the test, I imagined that my results would contain DNA strands from numerous African and European countries (I was born in Kenya, to a Kenyan father and a Danish mother). My results (shown at the bottom of this post), not only confirmed my expectations, they also revealed that 9% of my DNA hails from the Middle East. This was a surprise, albeit a welcome one, particularly at a time when the world is at loggerheads with The Middle East, its religious practices and ways of life. The term “mixed race,” which is the manner in which I choose to describe myself gained even more meaning, in a world that is still very linear in its depiction of culture. Let me illustrate: popular media continues to describe Barack Obama as the first “black” president of the United States, yet I am sure that if he were to be described more objectively, for example with regard to his DNA, different, arguably more accurate terminology would be used. Then again, would it? Our world still fails to recognize the right of ethnic minorities to define themselves and countries the world over, staring with the “United” States of America are split along racial and ethnic lines. Black, White, Mixed Race, Arab? What’s in a picture? More often than not, we are all described from the cultural relativism of the dominant hegemonic groups that rule the world, which, in our modern day consists primarily of fattened middle aged white men in suits. This hegemonic group is the very same clique of collaborators that refuses to pass legislation to curb weapon ownership. By and large it also keeps women, ethnic and sexual minorities out of its hegemonic influence. This is a truth that saddens me, as a true citizen of the world. However, I believe that the world is moving forward and that the status quo is being challenged, every single day. Brands such as momondo, like United Colours of Benetton before them (see my essay on UCB’s advertising campaign and my take on why Benetton, not Coca Cola actually gives a damn about the world) are challenging the power balance each and every day with examples of purpose based marketing such as The DNA Journey (see below), and governments the world over, that continue to take strides in the right direction, on a legislative level at least. (well, maybe not in Putin’s Russia). The true step towards bridging the gaps that divide us globally lies in a basic and fundamental recognition of the fact that our differences are source of all of our strengths. I believe that understanding how to embrace differences, cultural or otherwise, represents a genuine solution to addressing the challenges of the future. Join momondo’s The DNA Journey here and read more about corporate video production in big brands here. 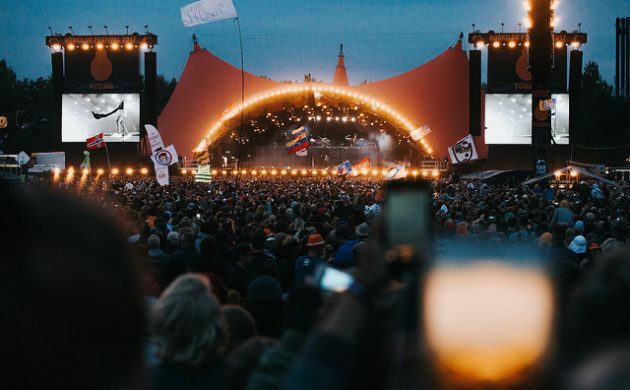 It was tough to pare it down, but our team has made their picks for the best concerts from this year’s Roskilde Festival. Befitting the diversity of the line-up, there are precious few overlaps in our three writers’ picks for the best concerts at this year’s Roskilde Festival. Performances from all six stages and on all four of the festival’s main musical days made the cut. From legendary acts to Colombian experimental rock and UK grime – and just about everything in between – here are our selections for the best performances. From the opening keys of ‘After the Gold Rush’ through the 30-minute extended jam encore performance of ‘Love and Only Love’, Neil Young put on a commanding, thunderous performance. Mixing old favourites like ‘Alabama’, ‘Words’ and ‘Unknown Legend’ with newer tracks like ‘Mother Earth’, Young and his excellent backing band Promise of the Real put on a show that was quite possibly the best I’ve witnessed on the legendary Orange stage. There were an estimated 7,000 Norwegians at this year’s festival and at times during this Stavanger band’s wild and raucous late night set, it felt like I was surrounded by all of them. This was without a doubt the highest energy interaction between band and audience that I had the pleasure of being a part of. When I saw Savages play the Pavillion stage in 2013, it was one of that year’s most pleasant surprises. Three years later and on the larger Avalon stage, the London-based quartet blew me away again with their mix of attitude, sexiness and intensity. The midnight set from doom pioneers Sleep was near the top of my list going into Roskilde, and it certainly did not disappoint. This was an absolutely hypnotizing set that provided the perfect ending to the festival’s opening night. I had heard good things about this French prog/technical metal band’s live performances for years and now I know why. Even though the band apologized several times for being a bit “rusty”, their Saturday evening set was a blistering display of tight musicianship and crunching grooves. The band might not have felt like they had delivered their best, but for me Gojira lived up to the hype. I sceptically joined a group to see the band Sleep with no prior knowledge of them or ‘stoner doom metal’. As soon as we were about 50 metres from the show, I could sense perfect harmony between the music and the audience. It was this symbiotic relationship that some artists simply failed to capture in the same enigmatic style. The music was expressing a shared feeling, a collectiveness, and that is what Roskilde Festival is essentially about, being together for the love of music. The 70-year-old Canadian legend delivered a breathtakingly energetic performance. The show progressed from heartfelt renderings of classics such as ‘Heart of Gold’ to a full throttle rock’n’roll experience like no other. The Danish international star came to the Orange stage on the final evening of Roskilde 2016. There were many festival-goers looking defeated and deflated, a tough crowd to bring alive. As soon as MØ came to the stage, it all changed. She brought a passion and energy that could not be topped by many other artists in the world. A first-time Roskilde Festival experience for the young Australian singer-songwriter and she did not disappoint. She gave festival-goers a powerfully sincere performance. Many times throughout the show, you could see that this was still a 28-year-old playing songs that openly confess her deepest fears and regrets. That humility gave the performance a beautifully personal touch. The cheeky Canadian up-and-coming star strutted on the stage with unabashed confidence, and then looked at the audience like a naughty schoolboy and gave his famous gap toothed smile. From then on, it was a fun, energetic and charismatic performance. The guys that brought us the legendary ’Jump Around’ tune rocked the Orange stage to its core during their Thursday afternoon performance. Who would have thought that a hip-hop mainstay such as this would play Johnny Cash’s ’Walk The Line’ in their set? Schoolboy Q and Young Thug should take notes from these OGs. Australians Tame Impala are a class act and have grown in presence and stature since their previous appearance at Roskilde a few years ago. Backing their performance with an impeccable light show and a ton of confetti, they were simply insurmountable on the Arena stage. Colombia’s Los Pirañas churned out an endearing stream of psychedelic rock fused with South American influences that blew the roof off the intimate Gloria stage. Hats off to the stage crew for outfitting the stage with an epic light show to match an assured performance. Honestly, I’m not a Jack Black fan and even after his momentous performance at Orange, I still have my doubts about the man’s sanity. Credit is due to him, however, for providing a fun and at times mesmerising show amidst the rain. Where others would have stumbled, Tenacious D were sure-footed, weird and even wonderful. Grime’s renaissance was reflected in Roskilde’s bookings this year. Of those on the billing, South London’s Elf Kid was, for me, the most impressive of the lot. Backed by his DJ, the kid spat out one lyric after another before getting bare-chested in the early Saturday afternoon chill, encouraging everyone to banish their hangovers to mere memory. Whistleblower Edward Snowden addressed a large, enthusiastic crowd at the Roskilde Festival on Tuesday afternoon. Broadcast live from Moscow, Snowden seemed to be in good spirits for a man who has spent the last few years in exile. Roskilde Festival announced Snowden’s address earlier this month, billing it as a perfect fit for this year’s theme of human rights. Critics have since hailed the move as something that has added depth to this year’s festival by creating a discourse around the subject of privacy. Formally dressed and courteous in his demeanour, Snowden’s address was hinged on answering several questions pitched by members of the Roskilde Festival public and moderated by the performance art group The Yes Men. These queries had been raised in relation to several controversial privacy statements that had been deliberately placed around the festival with the intention of promoting the event. The former CIA employee focused on the issue of privacy, arguing “it is not something to hide but something to protect,” and billing it as “the foundation of all other rights.” In his opening statements, Snowden also questioned governments’ Machiavellian “the ends justifies the means rhetoric,” equating it to the policies of Nazi Germany. As a still and uncomfortable silence fell upon the festival grounds at Roskilde West, Snowden then used the example of the FBI’s spying on Martin Luther King Jr when he was labelled a threat to the political stability of the US back in the 1960’s. The mood lightened considerably towards the end of the proceedings, as Snowden veered towards discussing solutions to some of the privacy issues that he had addressed previously. He jubilantly stated that it did not matter what one did, as long as one did something, before responding with a refreshing dose of humour to questions from a child in the crowd regarding the length of his jail sentence if convicted of the charges that the US government have filed against him. Roskilde Festival spokeswoman Christina Bilde previously stated that Snowden was a perfect fit for this year’s theme on human rights. “More than anyone else, Edward Snowden has made us aware just how much human rights are challenged. This goes for a small country like Denmark as well where surveillance both in public and on social media challenges the right to privacy; where refugees make us question the right to free mobility; where the right to freedom of speech is debated heavily,” Bilde said. “His thoughts and experiences will undoubtedly inspire reflection amongst anyone who cares to listen at the festival,” she added.